Shah Rukh Khan is going to be seen in Aanand L Rai’s next film whose teaser is out now! It has been months since we have been listening about the Bollywood superstar Shah Rukh Khan’s next film with Aanand L Rai. The film starring the actresses Anushka Sharma and Katrina Kaif was untitled until now. But the wait is finally over. The film’s teaser is out and now we know that it is going to be called Zero. Yes, Zero is the title that has been finalised for SRK, Kat and Nushkie’s film. As strange as the film’s title is, the teaser is equally hilarious. We already know that the actor is playing the role of a dwarf in the film. And that is the reason why the film itself was referred to as the dwarf film. 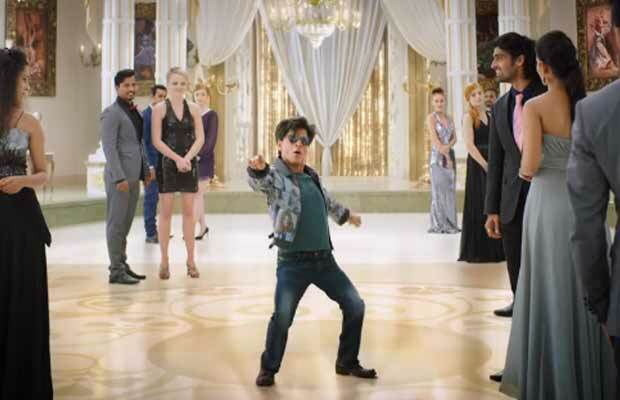 In the teaser, we get to see a glimpse of small Shah Rukh dancing carefree in front of so many people. The teaser starts with a very funky music using so many adjectives like pagal, makkar, dhokebaaz, aashiq and mental to describe SRK’s character. The film already looks very entertaining to us and we are definitely looking forward to this one! Previous articleBox Office: Salman Khan – Katrina Kaif Starrer Tiger Zinda Hai Continues Its Charm On The Second Weekend! Next articleCheck Out First Look Of Rana Daggubati’s Haathi Mere Saathi Revealed And It Looks Intense!